A mass polio vaccination campaign for all the Highlands provinces except Eastern Highlands was launched in Wabag, Enga Province on 27th August 2018. 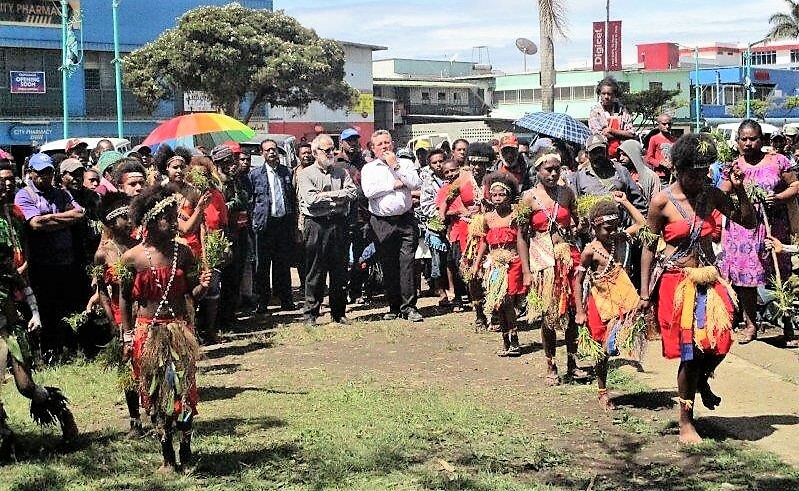 The Minister for Health and HIV/AIDS, Sir Puka Temu officially launched the campaign in the presence of global partners, the World Health Organisation (WHO), UNICEF, Rotary International and the Global Polio Eradication Initiative (GPEI) as well as the Secretary for Health, Mr Pascoe Kase. The campaign which was carried out from 27th August to 9th September 2018 covered the provinces of Enga, Chimbu, Jiwaka, Western Highlands, Southern Highlands and Hela. Eastern Highlands was covered in June following a confirmed case of polio. 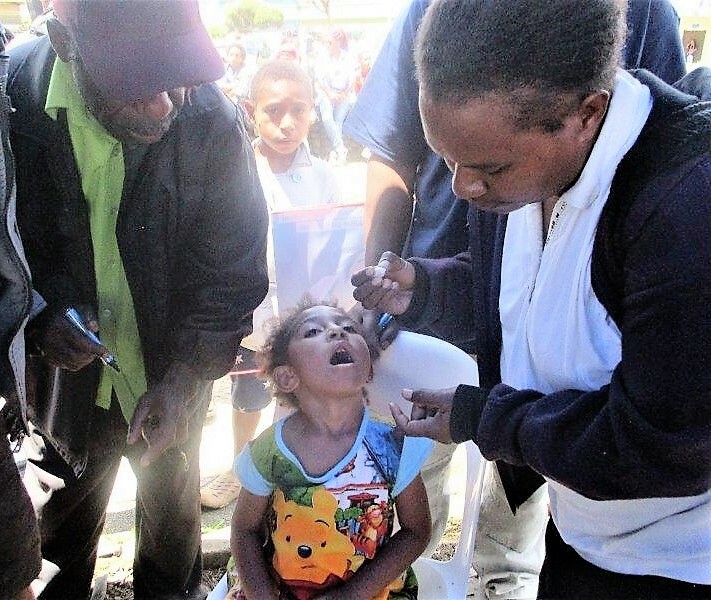 The polio vaccination campaign in the country is being organised by the National Department of Health and the Provincial Health Authorities with support from WHO, UNICEF, GPEI and Rotary International following the discovery of the first confirmed case in Lae, Morobe Province in June. In the Western Highlands, the Provincial Health Authority launched its vaccination campaign for the province on 27th August 2018, supported by WHO and UNICEF as well as the local radio stations and the business community. 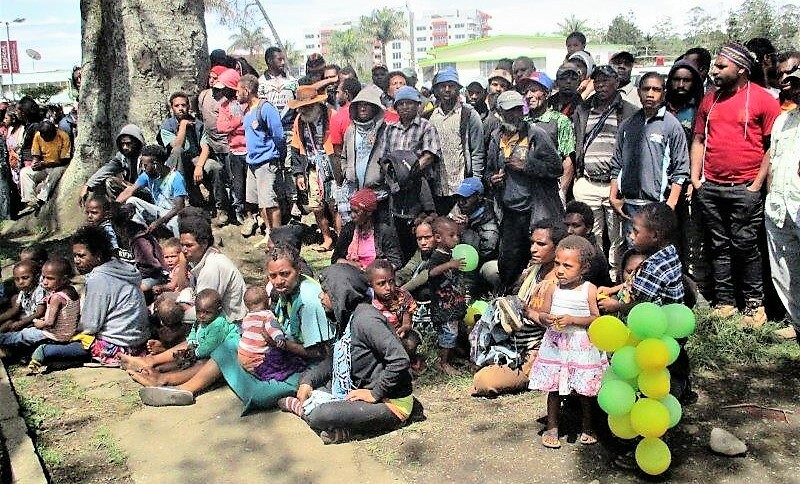 Digicel PNG has also assisted by providing a toll free number for the public to call the WHPHA and get information on the polio virus, how it spreads and what they can do to avoid it. The province has an estimated population of over 63,000 children under 5 years and the public was told that the aim of the WHPHA and its partners was to vaccinate all these children or do a 100 percent-plus coverage so that no child was left unvaccinated. The WHO’s EPI adviser, Dr Dessie Mekonnen who officiated at the launch told the public that polio was a highly infectious disease that could cause paralysis and even death among children under 5 years. He said there was no cure for it and that the only way to prevent its spread was through vaccination and appealed to all parents to take their children to the nearest health facility or vaccination point to have them vaccinated. Dr Mekonnen said vaccination was effective, easy and simple to administer and required just four rounds of drops to effectively prevent the children from catching the disease. “We must make sure that no child is left behind – we have beaten polio before and we can do it now too, it is not hard”, he said. During the launch, Dr Mekonnnen also vaccinated a child to demonstrate how the vaccine was administered and this was then followed by four hours of vaccination of other children by staff of the Western Highlands Provincial Health Authority. The WHPHA then sent teams out to the four districts of Western Highlands the next day to vaccinate all children under 5 years in all the catchment areas during the prescribed period from 27th August to 9th September 2018. Upon completion of the vaccination program, the teams had reported a total coverage of 89 percent of the target population of under 5 year olds which is herd immunisation that has been achieved for the first time in years which the WHPHA is very proud of. Manus dancers leading officials to the main dais. The public listening to speeches. 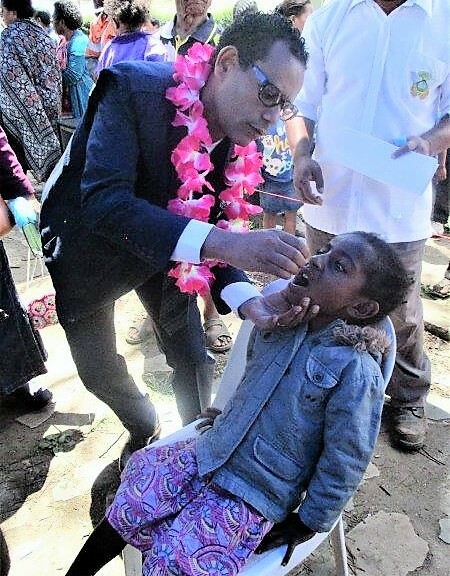 A child receiving her polio dose from Dr Dessie Mekonnen. Three-year-old Carmela Koipa about to receive her dose.